"It is my last tour for now. There probably won't be a tour with the next album because I want to devote some time to my movie career. But, I don't plan to retire." The European tour kicked off on 4 March 1987 in front of a sold-out crowd of over 15,000 people at the Olympiahalle in Münich, - Germany, a venue that she would later play 7 more times during the tour. 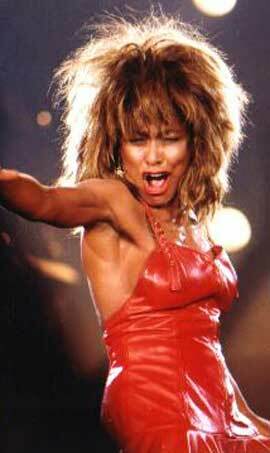 During the first few shows the tour went without Tina Turner's signature hit Proud Mary. Tina Turner avoided the song because she had done it for so many years. It wasn't until her performance at the Ahoy Rotterdam that she tried the song in the setlist. Tina Turner stated, "The crowd erupted and sang the song for us. That's when I realized, 'We've got to put 'Mary' back in, she's still rolling on the river.'" 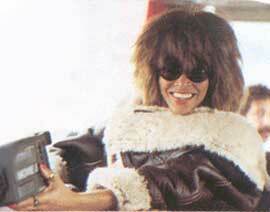 The most memorable and unusual moment for Tina Turner was in Locarno, Switzerland. The stage for the concert had been built in the center of the town. As Tina Turner recalls," The stage was literally in the middle of the street surrounded by apartment buildings with parents and little kids sitting on their balconies in their night robes. "Before her concerts at Johanneshov Isstadion in Sweden, Tina Turner got a bad sinus infection and had to cancel her concerts. The arena was sold out and when the concert promoter went on stage to tell the audience, instead of booing the 13,000 people cheered with understanding. When Tina Turner returned, she played to an even bigger audience. 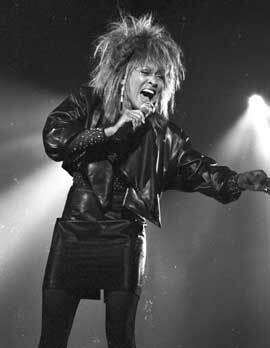 In her stadium concert in Ireland, Tina Turner attracted a huge crowd of over 60,000 people. During this massive concert, Tina Turner nearly stopped the show because of fans in the front getting crushed by other fans. The European tour ended on 26 July 1987 where it began in Münich, - Germany. Tina Turner recalls," Our biggest crowd came towards the end of the tour in Münich. We had already played eight indoor shows there to about 120,000 people and once I have been to a city, I'm always reluctant to go back soon afterward. Then we attracted another 100,000 people outdoors, I was really quite astounded. It felt like the Rolling Stones when they drew those huge crowds." 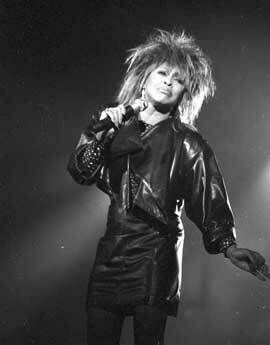 The tour proved to be most successful in - Germany where Tina Turner played over 40 shows. 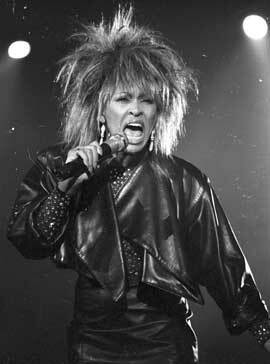 Tina Turner recalls that - Germany has always been "special" to her. The European tour itself played to over 1.7 million people, bigger than any tour before it. The tour continued to break records in South America. Tina Turner's performance at the Maracanã Stadium in Rio de Janerio attracted over 180,000 spectators, one of the largest concert attendance in the 20th century. Her world record-breaking Break Every Rule Tour show of 1988 held in a single night at the Maracana Stadium, in Rio de Janeiro, Brazil was later released in video form on VHS and DVD called "Tina Live in Rio 88'". With this particular show alone, she entered the Guinness Book of World Records because she set the record of drawing 188,000 paying fans to a one-night show alone. 6-7 March 1987 - Frankenhalle - Nürnberg - Germany - 8500 - S.O. 12-16 March 1987 - Festhalle - Frankfurt - Germany - 13000- S.O. 17 March 1987 - Sporthalle- Hamburg - Germany - 7000 - S.O. 20-21 March 1987 - Isstadion - Stockholm - Sweden - 9900 - S.O. 29-31 March 1987 - The Bercy - Paris - France - 15000 - S.O. 1 April 1987 - Palais Des Sports - Antwerp - Belgium - 12000 - S.O. 3-6 April 1987 - The Ahoy - Rotterdam - The Netherlands - 9500 - S.O. 7 April 1987 - Weser-Ems-Halle - Oldenburg - Germany - S.O. 9-12 April 1987 - Westfalenhalle - Dortmund - Germany - 12000 - S.O. 21-25 April 1987 - Hallenstadion - Zürich - Switzerland - 12000 - S.O. 5-8 June 1987 - N.E.C. - Birmingham - UK -12000 - S.O. 11-18 June 1987 - Wembley Arena - London - UK -11000 - S.O. 20 June 1987 - Valle-Hovin - Oslo - Norway - 30000 - S.O. 21 June 1987 - Wildparkstadion - Karlsruhe - Denmark - 45000 - S.O. 27 June 1987 - St. Jakob Fussballstadion - Basel - Switzerland - 50000 - S.O. 2 July 1987 - Waldbühne - Berlin - Germany - S.O. 4 July 1987 - Georg Melches Stadion - Essen - Germany - 35000 - S.O. 5 July 1987 - Idraetsparken - Copenhagen - Denmark - S.O. 8 July 1987 - Piazza Grande - Locarno - Switzerland - 12500 - S.O. 20 Dec. 1987 - McNichols - Denver - USA - 18000 - S.O. 16 Jan. 1988 - Maracana Stadium - Rio de Janeiro - Brasil - 182.000 - Worldrecord!! night to yell for more.